Summer’s just around the corner and, if you’re like most householders, you’re looking forward to entertaining outdoors with friends and family and spending more time outside relaxing in the warmer weather. Here’s Outside Concepts’ checklist to make sure you do it in style. If entertaining outdoors is on your agenda the most simple thing you must do is to give your outside entertainment area a good clean and inspect everything for damage. Re-oil your deck. Regular oiling is great for your deck and its appearance will lift significantly. Spend your time outside with friends and family; not inside slaving over a stove or washing up. A good quality barbecue is OK but an outside kitchen is so much better. If your outside area gets a lot of sun, consider putting a roof over it. 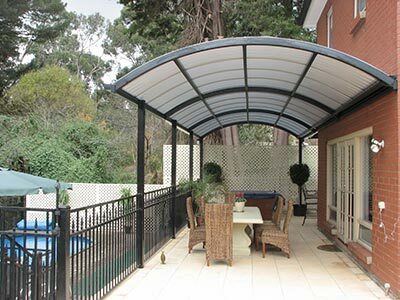 Shade is important in the warmer months to provide protection from the hot sun. Better still, consider an insulated roof, which will lower the temperature even more. Add the tranquillity of a water feature in or near your outdoor entertainment area. Give your garden a spruce-up and plant a herb garden near your barbecue or outside kitchen and you’ll enjoy being outside even more. If bugs, cold breezes, hot breezes or rain are driving you inside, get some quality café blinds from Outside Concepts installed.